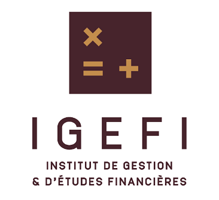 IGEFI provides a unique combination of rigorous education and practical expertise in quantitative financial analysis and economics, preparing students to successfully supervise the financial health and procedures of companies. Students learn cutting-edge methods for various core skills such as corporate finance, risk analysis and management, investments and portfolio theory along with ethical behavior underpinning this environment. All programs provide hands-on training, required by the financial profession, thus preparing graduates to be immediately operational in a world where quantitative and analytical skills are at a premium.